My search for the ideal Rx tracking app has finally ended! This app allows for plenty of customization, which I didn't find in its peers. And the customer service is great. I submitted a question and received an answer almost immediately. I read an earlier review that said it wasn't possible to manually change the time of the dosage taken, so I was a little hesitant to buy the app. Fortunately, I emailed the developer to see if that functionality would ever be available and found out that option has been there all along. If you tap the pill once, it registers the pill has been taken and defaults to the current time. 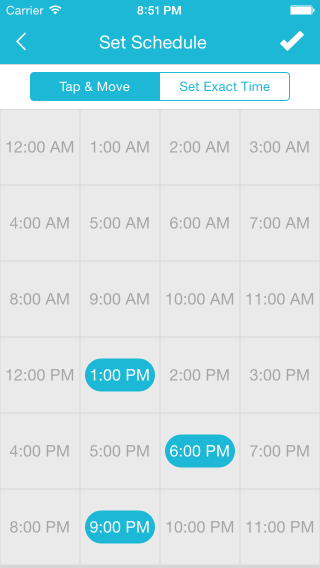 If you need to manually change the time, however, simply tap the pill a second time, and you get the option to change it to a specific time. This app was obviously designed by either someone who has to track daily meds or someone who did thorough research to determine what features would be most helpful to someone that does. I experimented with a lot of apps that were lacking (for my personal needs, that is) in some way, often just one feature. Easy Pill has got it all! This app is very intuitive, visually stunning and minimalist in design but not in functions. It is a highly effective pill tracker. I love seeing my dosage remaining on the pill screen, and that the time of day I took the pill is tracked. This is a very elegant app and worth every penny. 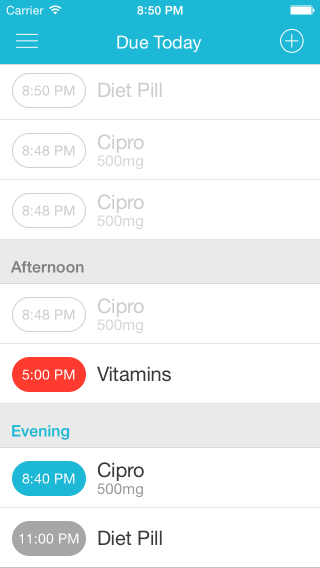 I also like that I can customize the sound and notification text so I can keep my privacy about the medications I take. This app works wonderfully and is very thoughtfully designed. I had to contact the developers about an issue I was having and their customer support was top notch. This is the app I was looking for. Simple, intuitive, helpful. I've used a couple of other pill reminders but this one just takes the cake. keep up the excellent work. Devs...you have no idea how helpful this is for people. Fantastic, really needed this app! There are apps that are just general fun, but this a necessity for myself, I found it extremely easy creating my complex meds schedule online and then importing to app using the QR code on web version. Worked perfectly! And its on my apple watch now also, so never a missed dose (and the relapse that follows) :) Keep it up, can't wait to see what the dev has in store. If i could i would have paid way more for this app :) 10/10 very happy. Simple to set up, easy to use. Love that it syncs with iCloud across devices. Plus, great technical support with speedy & helpful responses! 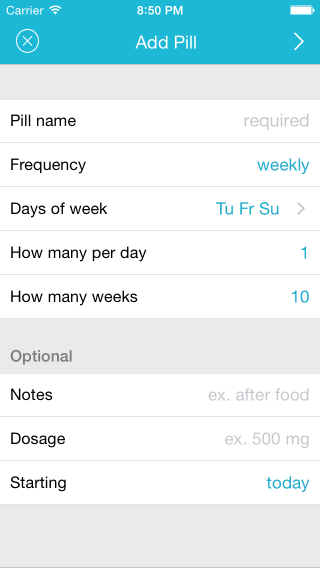 Tip: To be able to re-order the list of meds, just shake your iPhone. Great app, so very useful. The interface is elegantly simple. 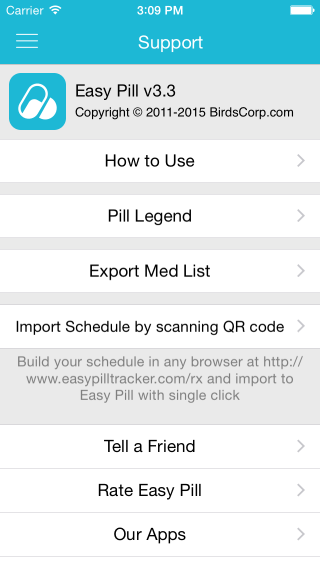 Whether for reminders for medicine taken at specific times, or to record PRN (as needed), this is the app you want. a simple and elegant app, and truly the best of its kind on the App Store. incredibly valuable for anyone looking to track their medications. 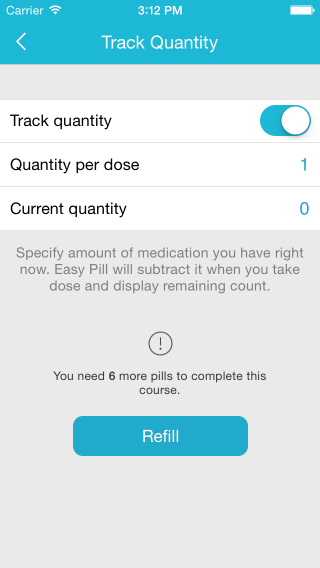 This app is helping me to keep track of a complicated medication regime. I emailed the developer with a query and got a very quick response. All in all, a great app with superb back-up.